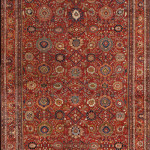 Rug Rental Service Image Carpets have an exceptional collection of new designers, vintage and antique rugs available for rent. We provide services to and for fashion shoots, film and television sets, documentaries and other types of special events. Our rug company accommodates our clients by either providing short or long term rental depending on the event. For better results in renting our unique fashionable rugs, we extend an invitation for you to visit our rug gallery here in the city. Hope to see you soon.